South Africa is a nation passionate about sport, yet thousands of children are denied the opportunity to play. Sport is more than just a game. Sport allows young boys and girls to engage in teamwork, discipline, tolerance and the value of fair play. As National Children’s Day is celebrated, there is no better time to prioritise sports and self-development among disadvantaged youth. To commemorate this year’s National Children’s Day, KFC seeks to shine a light on the hinderances that prevent children from engaging in sports and living active lifestyles by remaining committed to providing children across the country with an opportunity to play the game of cricket, a sport they love so much. Since inception, the programme has seen 2,5 million kids participating in the KFC Mini-Cricket programme and continues to be a driving force for strong national teams. 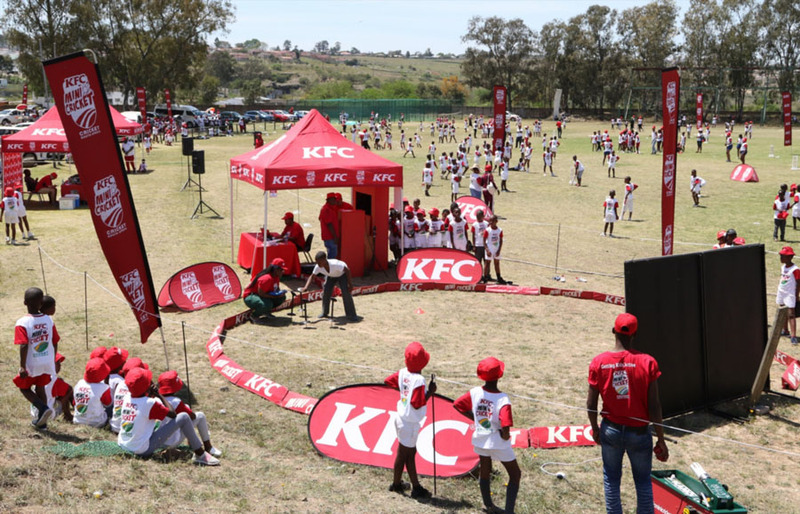 KFC aims to reach more children with over 120 000 kids playing KFC Mini-Cricket throughout the year in over 6400 schools and coached by almost 12 000 volunteer coaches. 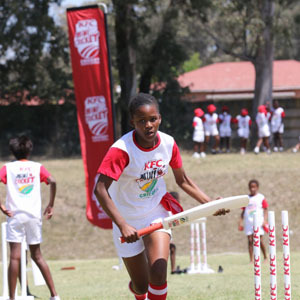 Through the KFC Mini-Cricket programme, KFC has managed to offer kids with the critical building blocks to learn cricketing basics and entrenching important life lessons. The programme allows teachers at schools to offer a cricket sporting programme, even with basic fields and facilities. This is to make sure that kids are playing their way, getting active and that the educational lessons of commitment to participation are learnt and adopted way beyond just the game. Schools and teams across the country can get involved in the KFC Mini-Cricket programme by visiting kfc.co.za/minicricket.